A temporary crown is a provisional, short term restoration used in dentistry. The temporary material is designed using CAD/CAM and forms a tooth shape that protects the prepared tooth, preventing damage to the periodontal tissues (gums) and disguises the prepared tooth to a degree until the final, definitive restoration can be made. 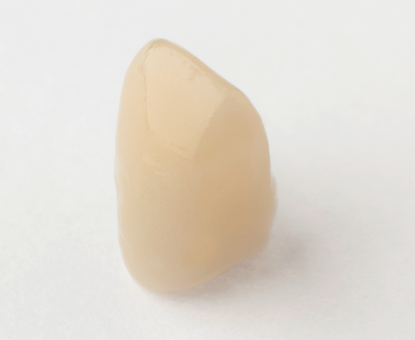 PMMA milled crowns are an adequate, temporary, fast and reliable way to save chairside time, whilst the hardness and resistance of the material is perfect for the preparation of provisional pieces. The material comes in a number of different colours to help you select the appropriate temporary solution for your patient.